Last week, Anne from Is Anyone There was super sweet and awarded Papa is a Preacher an award. See? It’s like .. legit. Here it is! Click Here for Awesomeness. 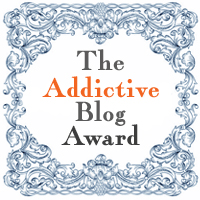 Now I shall pass on this award to five fellow bloggers. Emma-lee at In Real Life, a fellow homeschooler and blogger from Canada! Fabrizia at FabTwigs, in love with her bedroom makeover post. Bethany at The Erratic Muse, because yes! Thanks for the chance to play Anne! Previous Article Write it Down. Well deserved, Larissa! I'm addicted! Thank you so much Larissa! Congrats! A very fitting honor for you indeed! You are so sweet! Thanks for the award!